FQ: When it comes to a book as large as this one, readers are always interested in knowing how you did the incredible amount of research to bring it to fruition. Can you tell us a bit about the process of gathering the information? DOLAN: You could say I’ve been researching the Holocaust my whole life. Even as a child I was reading adult books about it, and continue to be fascinated by the most monstrous crime ever committed. 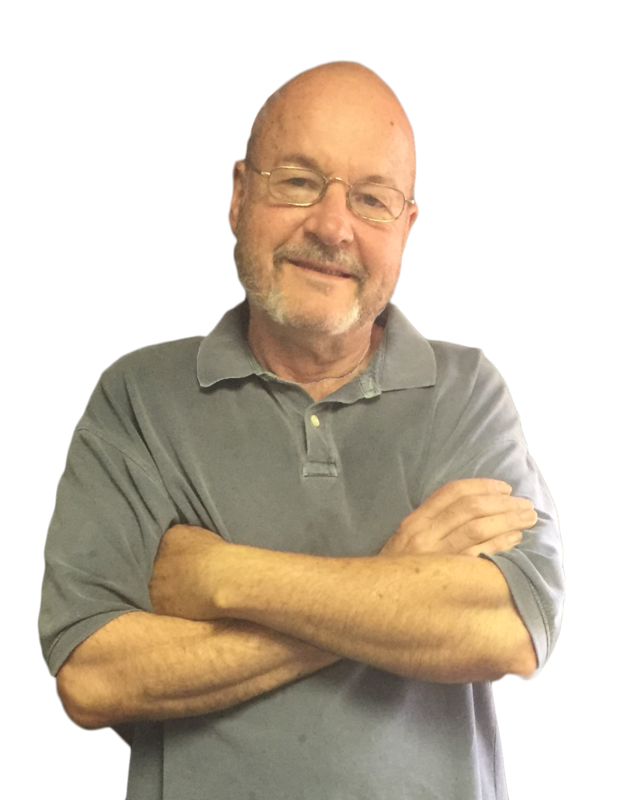 For my own book I spent many an hour in the library of the Holocaust Museum Houston, filling notebooks by day from works in the reference section, taking home what books I was allowed to, and buying others online. 80% of my material came from these, the rest from the Internet and even a few movies. Most of that 80% ended up in my notes, or when whole pages were called for I’d scan them on a copy machine. As if all that wasn’t laborious enough, I had to organize what amounted to a small mountain of data so I could find what I needed when I needed it. FQ: What first brought about your fascination with this particular subject? DOLAN: I was in the HMH about six years ago strolling the exhibits when I came upon one honoring the young Jewish heroine Roza Robota. That was my introduction to both her and the 1944 revolt at Auschwitz she played so big a part in. Intrigued, I was soon investigating the latter, only to discover to my surprise it lacked the book it deserved. Inside of a week I began correcting that woeful state of affairs. FQ: After reading your novel, I must say I’m amazed the name Roza Robota is not more well known. Do you have any idea why that is? Have you come across any other books that even touched on her or the revolt? DOLAN: Touched on them, yes, but little more than that. Mine is the first devoted in its entirety to the Auschwitz uprising. As for Roza and the general public’s unfamiliarity with her, I believe it but a reflection of not only that surrounding the Holocaust but history in general. I mean, save for Spielberg and their local cineplex, how many people would know who Oskar Schindler was? It’s a phenomenon, I’m afraid, emblematic of the times: readers of serious writing are becoming harder to find, none more than those with an interest in history. Sad, very sad. Dangerous, too. The written word is and always has been a bulwark against tyranny. Ask Orwell. FQ: Of all the amazing characters in The Trumpets of Jericho, do you have a favorite, a man or woman you most admire? DOLAN: Roza and her best friend Noah Zabludowicz, of course, rank at the top of my pantheon of the book’s heroes, but I must admit to having a soft spot for Kapo Kaminski, one of the architects of the rebellion and de facto leader of the Sonderkommando, those mainly Jewish wretches forced to work the crematoria. As the few survivors who knew him have all attested to, beneath the man’s rough, irascible, bulldog exterior beat a heart as big as they come. No prisoner did more to try to ease the suffering around him, and given his high place in the inmate pecking order, with considerable success. How much do I admire this Kaminski? His granddaughter in Israel told me his name came up 247 times in my novel. FQ: Writing the roles of the evil characters in the book must certainly have taken a toll on you. Was there a way you were able to “step away” from the project when need be? How did you handle all the scenes of darkness you had to put on paper? DOLAN: The hardest part here was putting myself inside the heads of those evil characters you mention, seeing things through their eyes—in essence becoming them for a while to make them more real to the reader. There were long stretches where I had to say some loathsome things, “perform” loathsome deeds, and you’re right: it wasn’t easy having to crawl inside the skin of a baby-killing mass murderer. Then again, the vast majority of my book’s characters are sympathetic to the extreme, and I always had them and their nobility to offset the barbarity of those others. I can only imagine the weirdness Brett Easton Ellis must have gone through while writing American Psycho. I don’t think I would have wanted to be around him then. 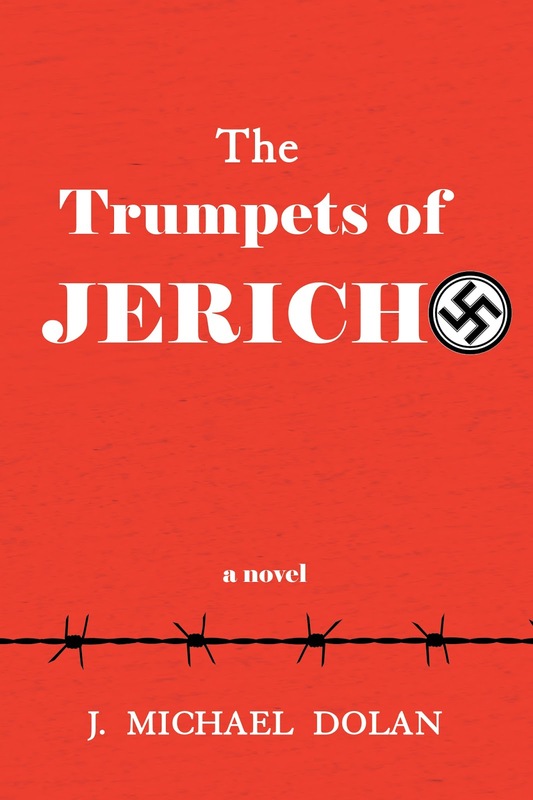 FQ: Apart from the Holocaust, are there any other periods/locations/historical events that might interest you enough to be grist for a future novel? What can your readers look forward to down the road? DOLAN: As a matter of fact, I’m researching a novel now that has nothing to do with the Holocaust yet remains rooted in the fertile ground of Jewish history. It’s set in the Roman-occupied Palestine of the 1st century A.D., and is a book I’ve wanted to write for a long time. Beyond that, though, other than telling you I anticipate it provoking no end of controversy, I’d rather keep its narrator and plot secret for the present (you’ll have to pardon my paranoia) for fear of some other author stealing the idea. And no, that narrator isn’t who you might be thinking it is—but close. FQ: The world, unfortunately, seems to be in a constant state of turmoil these days. After taking on a subject that is, for lack of a more fitting term, nightmarish, do you see a way in which the writer can maybe help to change things: open minds somehow and at least lessen the negativity that’s out there? DOLAN: I think Holocaust books, fiction and nonfiction, are particularly valuable in this respect, the more nightmarish the better. Based as they are on an event that actually happened as opposed to, say, some writer’s dystopian invention gives the agenda underlying them that much more credibility. And to me, what with the racism that seems to have found renewed vigor in not only this country but others, that agenda should be this: to show people how easily the tiniest flame of prejudice can grow into a forest fire of deadly hate and persecution. FQ: Do you believe your book, focusing as it does on this particular event, might be therapeutic to people, make them more tolerant, understanding? DOLAN: See my answer to the previous question. I will add that works like Trumpets aren’t going to change the perceptions of any die-hard racists, but might very well help prevent the ordinary citizen from succumbing to extremism. FQ: Readers love to know what “A Writing Day in the Life of ___________” is all about. Do you have a certain time set aside to write, a certain way of writing, in a certain location? Are you one who needs complete silence or perhaps prefers music, etc., in the background? What does a J. Michael Dolan writing day consist of? Coffee in the morning to wake up, retiring to my office where, yes, I require total silence, editing what I wrote the day before to get back into the flow of things, then working all day only breaking for meals. After dinner I’ll review what I wrote earlier and either edit or add to it for a while, then make every effort for the rest of the evening (all too often unsuccessfully) to put it out of my mind and stop brooding over the damn thing. Once that first draft is done, and under the same regimen, I can tack on another six months or more for rewrites. All of which, obviously, translates to me having no life when in the death grip of the Muse. And, I like to think, accounts for why I’m no longer married. Ah, well... “C’est la vie, c’est la guerre,” said the Frenchman to the judge at his divorce hearing. FQ: Is there a way, in your eyes, to make sure a new Holocaust doesn’t occur? Do you think we’ll ever be free of the possibility of another? DOLAN: Another Holocaust? Unlikely, not to the extent the Nazis perpetrated it anyway. Theirs was a program of genocide unprecedented in history, a meticulously planned, rigorously systematic, industrialized form of mass murder with the full power of a modern European state behind it. It would take a very special and extreme set of circumstances for anything approaching it to be repeated. On the other hand, variations of it can all too readily crop up, have cropped up, in fact, both before and after the Third Reich: the Turks’ slaughter of their Armenian minority in the 1920’s, that against the Ibo peoples of Nigeria during the Biafran tragedy of the 1960’s, and more recently the wholesale massacres in Rwanda, Bosnia, and Darfur. Something of a lesser sort even happened right here in America, the internment camps in WWII California and Arizona, in which U.S. citizens of Japanese origin—men, women, and children—were incarcerated for years in frightful conditions. These weren’t death camps, but were harsh and racially motivated. What can you, I, or anyone do to make sure genocide doesn’t occur again? The question should be, What are we going to do, how are we going to fight it, who do we hold responsible when it does? 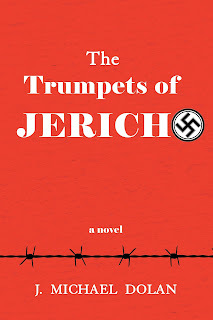 To learn more about The Trumpets of Jericho please read the review.